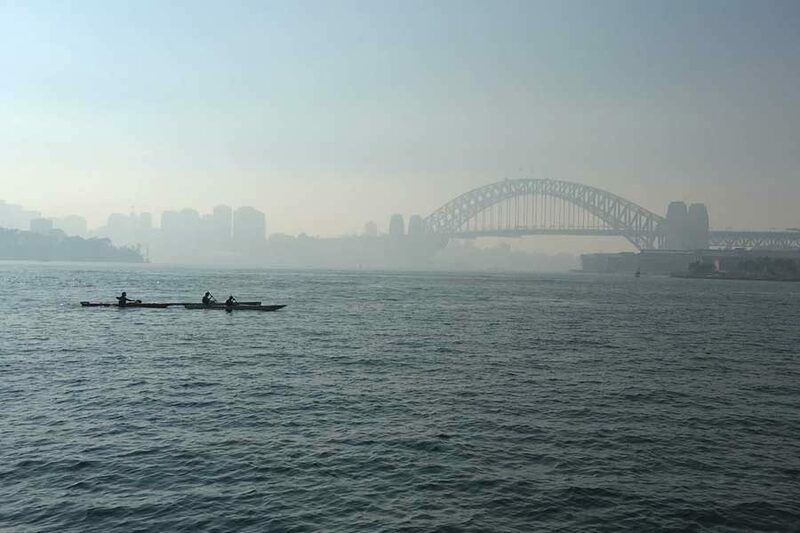 Let’s face it, Sydney’s vast watery playground is even better on a kayak. Whether you’re after a core-blasting workout or simply want to get off the grid while being in the middle of the metropolis, we’ve scoped the waterways to find you the best places to paddle. 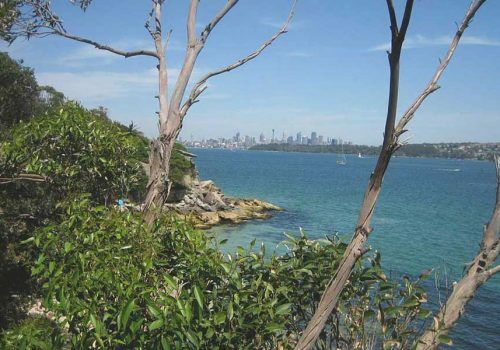 Take gin clear water, craggy headlands, and fine sandy beaches and you have the watery wonderland of Port Hacking. Hire a kayak from Bundeena (a wonderful day trip in itself) and paddle 2km in sheltered waters to Maianbar (sample local secret Maianbar Beach Café). You could spend a lazy day there splashing around the sand spit but if you’re after some endurance training row 3.5km across the water to Cronulla or go west exploring the basins and inlets of Royal National Park, all the way to Audley Weir. Hire: Bundeena Kayaks $20/hour; $70/day. Getting there: Trains run to Cronulla Station and it’s a short walk to Gunnamatta Bay Wharf for the Bundeena ferry. However you play it, Middle Harbour is a treat. From The Spit, option 1 is to paddle past bling-trimmed boats to Grotto Point then cruise into Balmoral Beach for a coffee. Option 2 is to row under Spit Bridge to the quieter side of Middle Harbour towards Castlecrag. If you want to feel the burn it’s a 12km round trip to Flat Rock Beach in gloriously peaceful Garigal National Park. The friendly crew at Sydney Harbour Kayaks will kit you out and advise on wind and tide conditions. They also run tours, including the ever-popular Eco Tour and on Saturdays offer free kayaking lessons (you need to pay for kayak hire). Hire: Sydney Harbour Kayaks, $20/hour; $85/day. Getting there: Buses run from the city to The Spit. 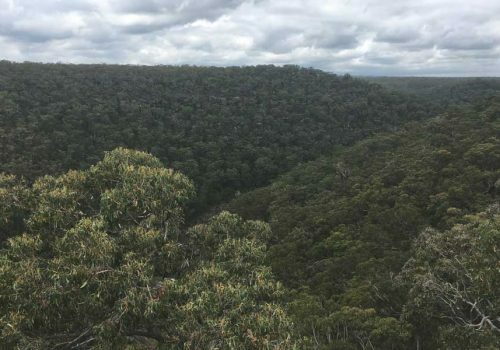 Ku-ring-gai Chase National Park cuts a huge swathe of bushland through Sydney’s north and is centred around beloved picnic grounds, Bobbin Head. There’s no kayak hire at Bobbin Head so you’ll need to bring your own or take a tour. Its river tributaries are made for lazy exploration or fishing off the boat. But if it’s adventure you’re after, from Apple Tree Bay head to Cottage Point (stop at the excellent Cottage Point Kiosk) for a 15km epic return trip. 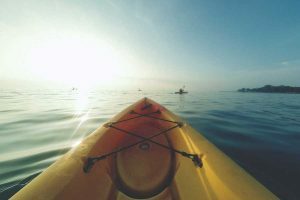 Tour: Freedom Outdoors run regular kayaking tours to Bobbin Head and other locations. Getting there: Car only access with $12 National Park entrance. There’s fitness on tap at Narrabeen Lakes, with killer kayak bods on the water, not to mention 12km of paddling paradise. 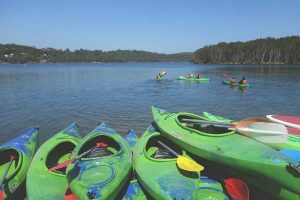 Kayaking centres around Berry Reserve where local institution Pro Kayaks offers the full gamut of water sport equipment hire and tours. The beauty of Narrabeen Lakes is that it is shallow and sheltered, making it perfect for beginners. To switch gears, pack your runners for some cross training on the Narrabeen Lagoon Trail opened in 2015, a super-scenic (and super-popular) 8.4km walking/running/cycling circuit. Hire: Pro Kayaks, $20/hour; $75/day. Getting there: Buses from the city travel via Pittwater Road to Berry Reserve near Pro Kayaks. With its wraparound harbour views and holiday vibe, kayaking at Manly is Sydney at its stellar best. Manly Kayak Centre, located next to the wharf, rents kayaks and gives a briefing on avoiding ferry routes. Paddle 40 minutes to Q Station (pop in for a dip or a coffee) or pack a picnic and snorkelling gear in the dry bag provided and drink in the views at one of the secluded harbour beaches (Store Beach is our fave). Hot tip: in summer try the kayak yoga classes! Hire: Manly Kayak Centre, $25/hour; $75/day. Getting there: Catch a ferry from Circular Quay or a bus from the city. 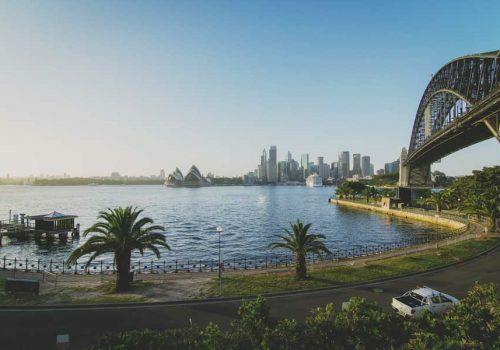 The waterway is your oyster at Brooklyn (no surprise as this is the oyster capital of Sydney), and you can take your adventure in many directions. It’s a 20-minute paddle to Dangar Island, worth a stop for its lovely nosherie, Dangar Island Café. 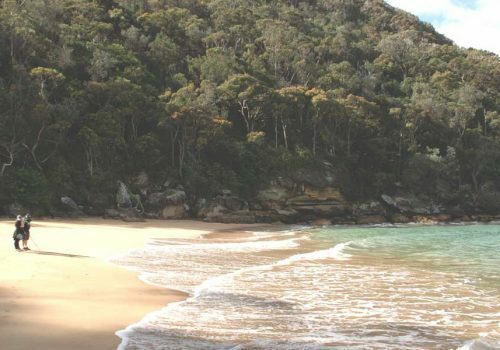 For more wilderness, head 40 minutes upstream to Gunya Beach with its small curl of sand, perfect for a beachy picnic. If you want more of a workout keep paddling another 50 minutes to Jerusalem Bay. Once back at Brooklyn, don’t hurry home – there’s local oysters to be had! Hire: Hawkesbury River Kayaks, $50/half day; $70/day (need to pre-book). Getting there: Catch a train to Brooklyn Station, which is next to the wharf. 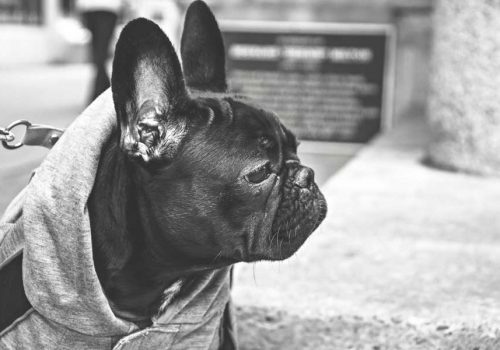 Want to see more of Sydney? Check out our EXPLORE SYDNEY section, or go one further and check out all the adventure travel destinations in our URBAN ADVENTURES section! 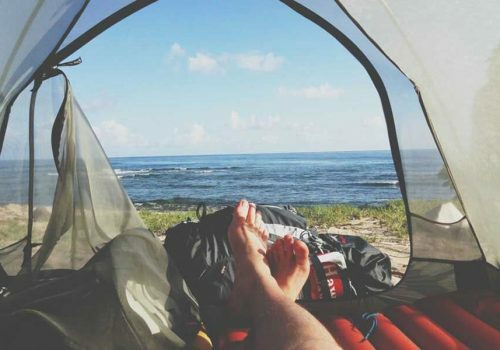 Julie Ihle is a travel and lifestyle writer, based in Sydney with publications in camping and touring magazines. 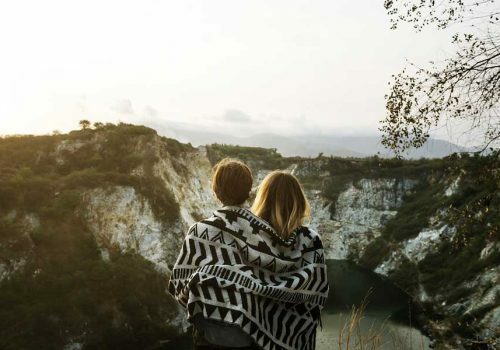 When not tapping away at the keyboard, you’ll find her bushwalking and kayaking in Ku-ring-gai Chase National Park or exploring one of Sydney’s fabulous foodie ‘burbs.